This rhetorically effusive and repetitive style is very typical of the Mozarabic liturgy which was then used throughout Spain, and for which Ildephonse is believed to have written the Mass of the Ascension. 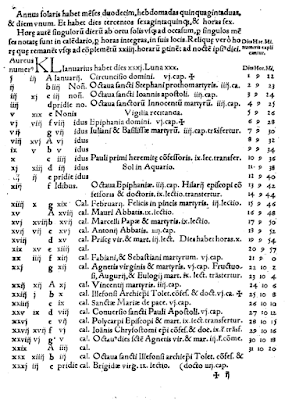 The Mozarabic Mass has many more variable parts than the Roman; another example of the same style may be found in his introduction to the Lord’s Prayer. Sometime after St Ildephonsus’ death, a legend arose that once as he was praying before the tomb of St Leocadia, a virgin of Toledo martyred in the persecution of Diocletian, she rose from her grave in order to convey to him the thanks and praise of the Virgin for what he had written. Later on, the Virgin Herself appeared to him, sitting on his episcopal throne, and bestowed a chasuble upon him. 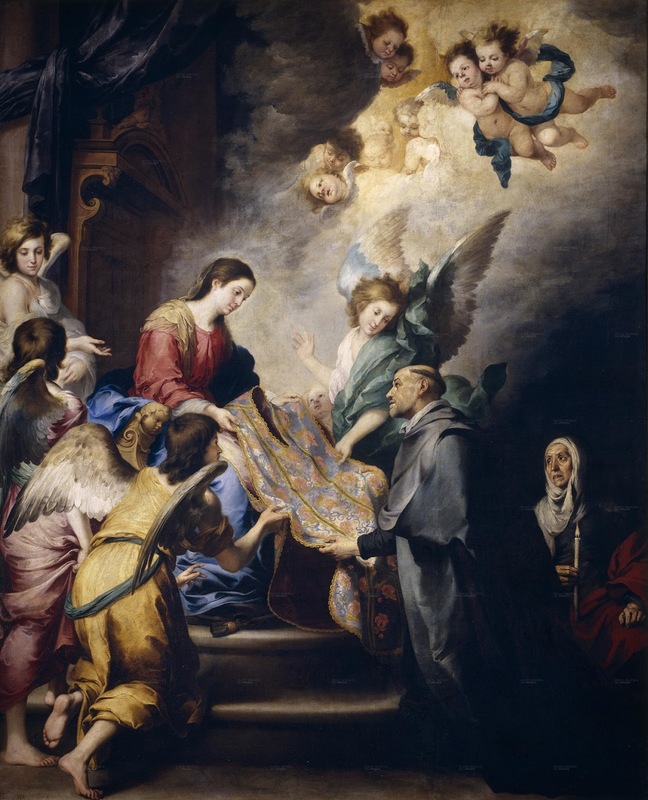 The Virgin Mary Appears to St Ildephonse, by Bartolomé Estaban Murillo (1617-82), ca. 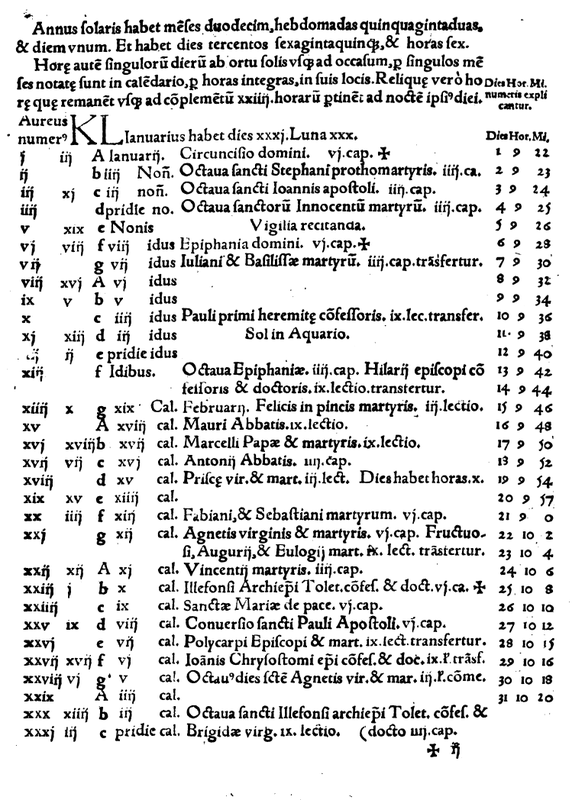 1655. (Public domain image from Wikimedia). 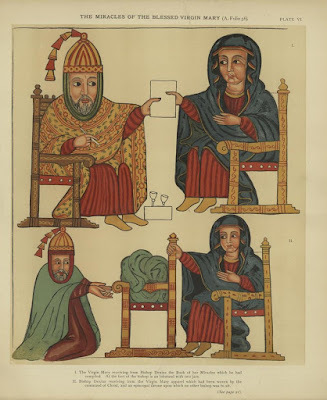 St “Dexius” offers his book about the Virgin Mary to Her (above), and receives a vestment from Her (below). This image comes from a translation of a late 14th century Ethiopian manuscript of legends of the Virgin Mary, published in Britain in 1900, with reproductions of the original illustrations.